The road to driving doesn't have to be long! We specialise in intensive driving lessons. We book your tests for you within days (not months) — meaning you get to avoid the long waiting times. Pay for your course simply and securely online (or over the phone) using your debit or credit card. 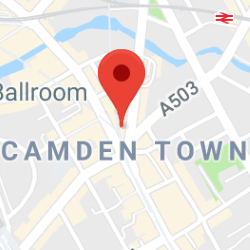 Looking to learn to drive in Camden? Tired of companies that drag out your lessons over months—and those that make you take all your lessons in a 5 day period? Come to a driving school that does things differently: PassMeFast. Read on to learn more about our courses in Camden. 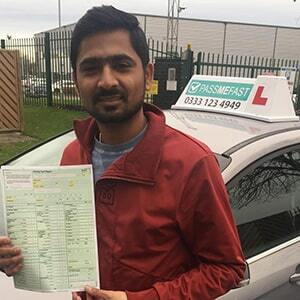 At PassMeFast, we specialise in offering driving courses rather than individual lessons. We have nine different courses on offer, ranging from 5 hours up to 48. Each course can be taken at either an intensive or semi-intensive pace. No matter which option you choose, you could be on the road with a full UK driving licence within just a few weeks. 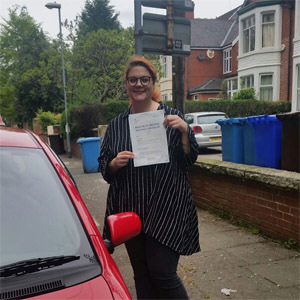 Unlike other driving schools, we start by securing you a practical test date. We’ll then build your course around this date, ensuring the skills you’ve gained are fresh in your mind in the run-up to your practical test. Interested in automatic driving lessons in Camden? In an inner-city area like Camden, heavy traffic is part and parcel of driving. This is naturally a frustrating experience—but it can be exacerbated even further when you’re behind the wheel of a manual car, and find yourself needing to change gear constantly (not to mention using a lot of clutch control). If you’d like to dodge this, then an automatic car may be the way to go. With PassMeFast, you can take your course in either a manual or an automatic car—it’s up to you! We don’t charge exorbitant fees for a ‘guaranteed pass’. 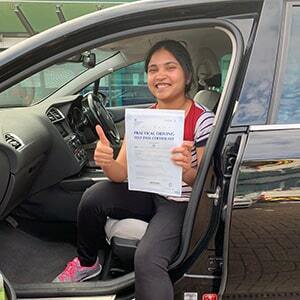 Instead, we trust in the quality of our experienced, DVSA-approved driving instructors, who’ve already helped thousands of learners to breeze through their test and walk away with a shiny, pink driving licence. All of our lessons are taught one-on-one, and home and workplace pickups are available. To chat to the team, give the office a call on 0333 123 4949. Alternatively, if you’d like to book your course now in just a few minutes, click the button below. For reasons that are fairly obvious, the DVSA have wisely avoided siting any practical test centres within London’s most central boroughs. The good news is that this means you avoid some of the most frustrating traffic in the country (though other cities around the world do, amazingly, have worse driving conditions!). The bad news, though, is that you’ll need to travel a little to take your test. 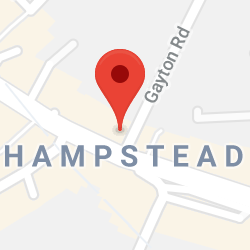 Thankfully, it’s not too far away: to the north east, you’ll find Wood Green and Tottenham test centres; to the north west, meanwhile, lies Hendon test centre. Sadly, there are no theory test centres to be found in the borough of Camden, either. 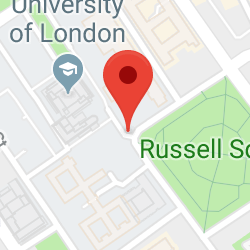 Taking your test here either means travelling: Southwark test centre is the closest, and can be reached by taking the Northern line to London Bridge and walking a short distance to Shand Street; alternatively, you can hop on the Piccadilly line to the Southgate test centre in Enfield. Haven't taken your theory test yet? Don’t forget: add on a theory test to your course when booking if you haven’t passed this yet. Get a bit of extra prep by taking our theory test quiz! Driving in Camden itself can be tricky for even an experienced driver, with the borough’s many one-way systems meaning that the slightest wrong turn can develop into a much bigger problem than it would elsewhere. 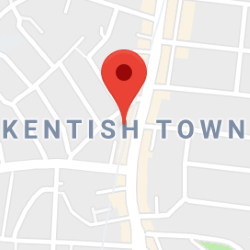 As you won’t be able to take your test in Camden, though, your lessons will see you gain experience in another area of London—most likely in nearby Haringey or Barnet. Our courses are designed to help even a complete novice get up to test standard within a short space of time. Meanwhile, if you just need one last heave before taking your practical, you can instead opt for one of our refresher courses. No matter what you choose, your PassMeFast instructor will help you gain all the knowledge, skills and confidence you need to ditch the L plates for good. Which Areas Does PassMeFast Cover? Your driving future is within reach. Call the office on 0333 123 4949 to speak to our sales team, or book your course online within just a few minutes by clicking on the button below.